The Giant Lite Bright is here! Picture your old lite bright but BIGGER and BRIGHTER! 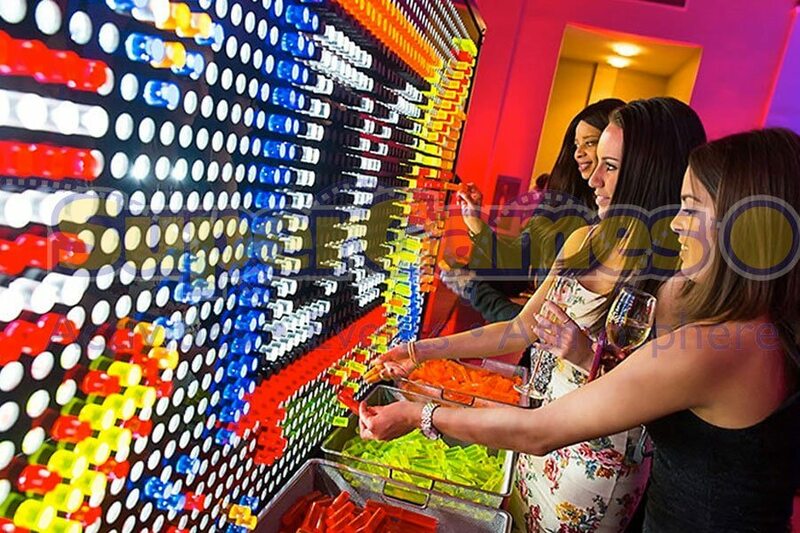 Looking to brighten up your next event? 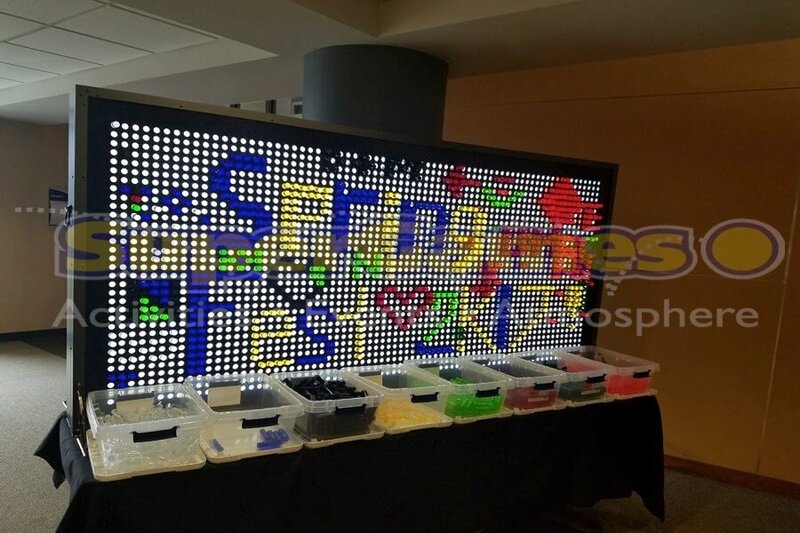 Great piece for all ages and all types of different events. 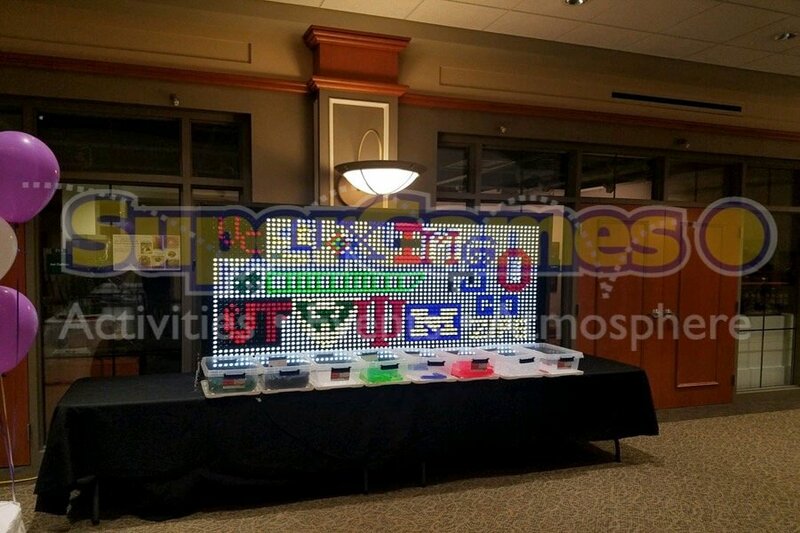 • Recreate your event logo on the Giant Lite Bright and make it into the centerpiece of your event! • Team building activity for your next corporate training! 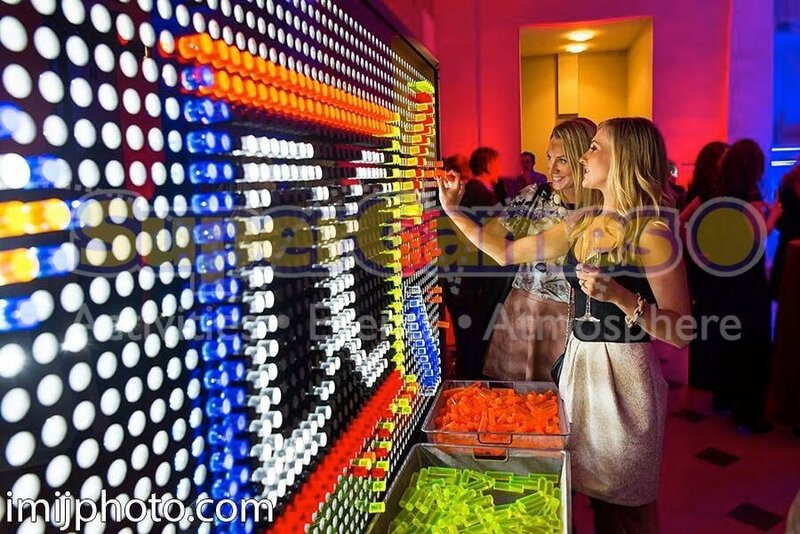 • Add the Giant Lite Bright as an interactive activity for your guests to engage in. 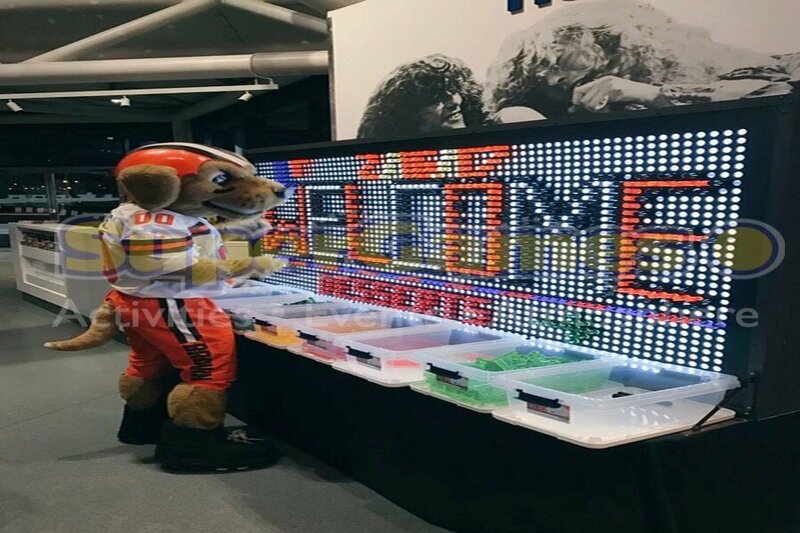 Watch and see what kinds of cool designs they come up with! Includes 1 attendant,1 table/custom tablecloth, delivery and setup. 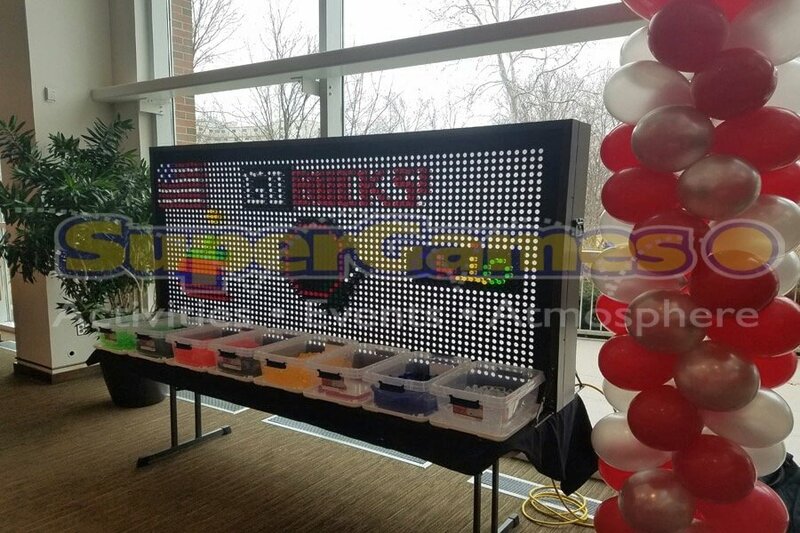 Also check out the LED Corn Hole, LED Dance Floor and Photo Booth!